When it comes to flu season, there’s some good news and bad news to report. The good news is that we’re over the hump of flu season and that most areas will start to see a plunge in the number of flu cases reported. On the other hand, there’s a whole new virus to look out for and it could knock us right back off our feet, even well into spring. This late-season flu strain is being dubbed the “second wave” flu and is reportedly on the rise, with the medical community reporting that some people are being infected with the flu twice in a single flu season. So, if you experience fatigue, fever, body aches, cough or chills, it’s time to call the doc! 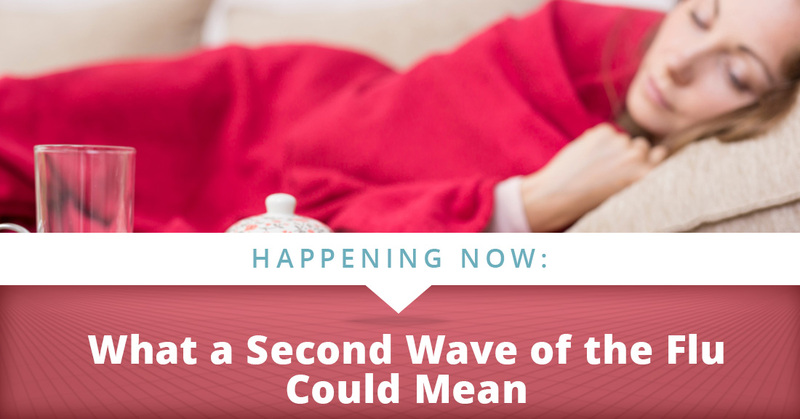 This year, the second wave flu is a form of influenza B. As you probably know, flu viruses have the unique ability to constantly mutate and they’re always adjusting so that they’re more resistant to vaccines. As one flu strain spreads, it may develop a “survival advantage” so that it can persist despite vaccinations. Essentially, influenza B is just a mutated version of influenza A. Despite the fact that they’re tougher in the survival department, these flu strains are significantly less varied than influenza A strains, which include the particularly deadly H1N1 and H3N2 flus. 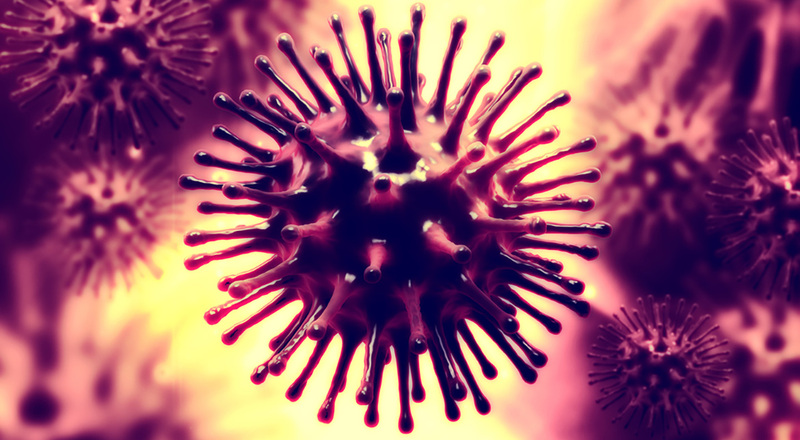 On the same token, influenza B flus don’t mutate as quickly as their more severe counterpart, which means that they can be targeted with vaccines relatively easily, since scientists are given more time to come up with effective vaccines. Where influenza A strains might mutate hundreds of times in a single season, therefore evading even the most well-researched flu shot formula, influenza B strains might stay the same for a longer period of time so they can be more readily eradicated. It’s also because of this that the second wave flu may spread less than the especially dangerous first wave. There are many misconceptions about influenza B, with the primary one being that it’s not as severe as other forms of the flu. This stems from the fact that the world’s main flu pandemics were caused by A strains. However, influenza B can make you just as sick. Unlike influenza A, influenza B is separated into two lineages—Yamagata and Victoria, named after the cities where they were first isolated—and usually only affects humans, not animals. Because it’s slower to mutate and easier to control since it’s found only in humans, this strain is less likely to cause serious pandemics. Still, influenza B is on its way to having a short yet severe springtime showing this year. The percentage of late-season flu cases is drastically shifting to favor influenza B for this flu season, but less people have been infected by it than the A variety. The Centers for Disease Control (CDC) reports that since early March, influenza B has been more frequently reported than influenza A, with 65.9 percent of cases tested as influenza B. With that being said, since October, only 31 percent of total flu cases were of the B variety and 69 percent were tested as influenza A. In other words, influenza B is taking over, but flu season as a whole is still dying down. On that note, the CDC does point out that, though the numbers are waning, this year’s prevalence of influenza B is about 10 percent higher than the season’s average, which could indicate that certain strains of the B virus could become a greater problem in the future. On top of that, like any good flu strain, influenza B is trying its hardest to mutate and stay alive, so we may see it become more of a problem in the coming years. We simply don’t know. But in the meantime, epidemiologists are hard at work using this year’s data to formulate a stronger vaccine for next year. So now that we know that there is, indeed, a somewhat serious risk for a two-for-one flu season, what does this translate to in the grand scheme of things? One thing to note is that, though it’s particularly widespread this year, a second wave of the flu is not uncommon, especially when it’s of the influenza B variety. And, just because it’s a little bit more common this year than it was last year doesn’t mean that it will stay that way. The flu is ever-changing and new strains and outbreaks are always unexpected. 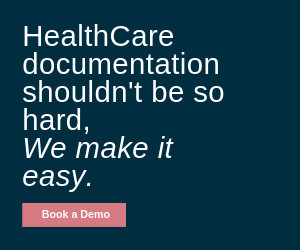 Docs might be adding more and more cases to their electronic health records this month, but there’s just no way to know if it will persist. 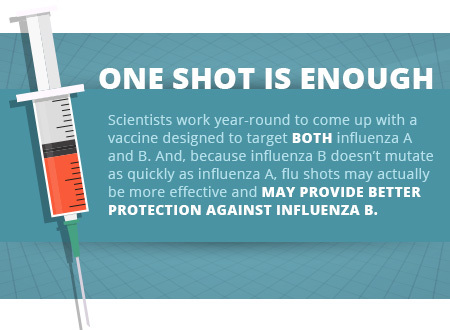 One Shot is Still Enough—So does all of this mean that we have to get a flu shot twice a year? No! Scientists work year-round to come up with the most effective way to bust flu viruses with a single vaccine, and each year the vaccine is designed to target both influenza A and B. And, because influenza B doesn’t mutate as quickly as influenza A, flu shots may actually be more effective and may provide better protection against influenza B. There are two very important takeaways from this information. The first is that one flu shot per season is enough. 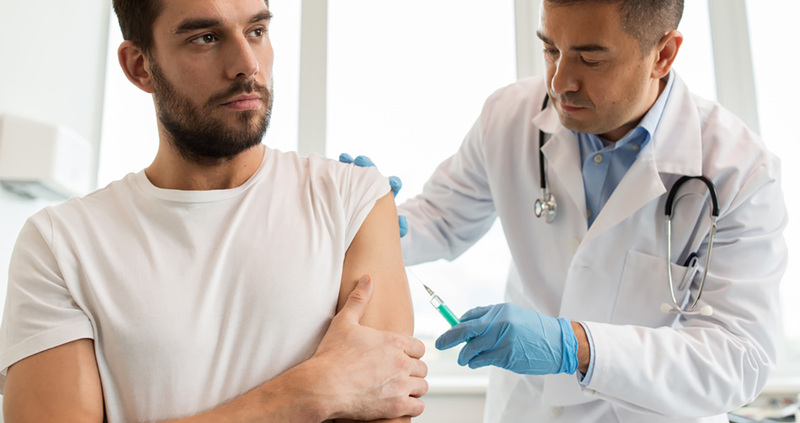 The second is that just because you got influenza A early in the season doesn’t mean your flu shot won’t safeguard you from the second wave flu in March, April or May. You Might Still Get Sick—Again, influenza B is generally not quite as severe as its early-season counterpart, but it can still take you out for a few days or weeks. As of right now, the most severe and life-threatening flu pandemics are those that come from the influenza A virus, and those are the ones that are most likely to put you in the hospital or kill you, especially if you’re a senior. With that being said, influenza B doesn’t feel any less horrific for the infected, and it still poses many risks to people who are particularly vulnerable to the flu. You’ll still feel all of the classic flu symptoms and you’ll probably be forced to quarantine yourself for a few days while you get better. You Should Still See the Doctor—There’s a bit of debate in the medical community about whether or not a consultation with your doctor is actually necessary when dealing with the flu. After all, there’s no cure for the flu, and since it’s caused by a virus and not a bacteria, taking antibiotics does nothing and simultaneously increases your body’s ability to resist antibiotic treatment. Plus, a visit to the doc spreads the virus. However, since some flu sufferers are at a higher risk than others—for example, pregnant women and organ transplant recipients are more likely to develop pneumonia as a result of a bout of the flu—a quick visit to the doctor may definitely be worth the time. You Should Still Focus on Prevention—Many people assume that once the warm weather begins to roll in, the risks for developing the flu begin to die down. Unfortunately, especially this year, that’s just not the case. With large numbers of flu-related hospitalizations well into March and April, the majority of which are caused by this particular second wave strain, we’re not out of the clear as soon as the snow begins to melt. On the contrary, it’s important to focus on preventative measures (more on that below) long after the primary flu viruses have been largely quelled. So, you’ve come down with the B strain. Now what? For the most part, your doctor will treat your condition in the same way that he or she might treat the primary flu strains. Influenzas A and B both generally last between one and two weeks, with the most severe symptoms lessening in about three days. Most people don’t require antiviral drugs, but you can treat and control the flu with symptomatic treatment, such as cough medicine, painkillers and decongestants. Again, there is no cure for either type of flu, so symptom management is key. Another thing to note is that, though it doesn’t cause as severe of breakouts as other kinds of flus, influenza B is indeed still very contagious. Therefore, it should be treated the same as any other strain of the flu, with preventative measures that help you mitigate your risk of contracting it. The most important thing to know is that those who are suffering from any form of the flu should avoid contact with other people and stay home for the first five days, the period in which people are most likely to pass the virus onto someone else. Get the Flu Shot—The absolute best way to protect yourself from contracting the flu virus at any time of year is to get a flu shot, especially because they tend to be particularly effective against influenza B strains. While there’s a whole lot of misinformation out there about whether or not the flu shot is actually effective, low percentages of effectiveness don’t necessarily mean the shot didn’t succeed—even if a flu shot is 20 percent effective in a particular year, it could prevent as many as 144,000 flu-related hospitalizations. Avoid Contact with Sick People—As much as possible, limit your exposure to the virus by avoiding contact with people who are sick or who may have been exposed to the flu virus. If you work in an environment where people tend to get sick—such as in a healthcare environment or a school—consider wearing a face shield. Studies indicate that wearing face masks does help to prevent the spread of viruses. Wash, Wash and Wash Again—Naturally, rule No. 1 during flu season is to wash your hands, but make sure that you don’t skimp on the hand-washing as soon as the main flu virus begins to wane, as the second wave might still hit hard. The CDC says that flu viruses can survive on hard surfaces for up to 24 hours, so make sure to regularly disinfect desks, appliances, tabletops, countertops, doorknobs and other surfaces. At the end of the day, there’s simply no predicting the flu. Its ability to constantly mutate and maintain survival means that, for the time being anyway, we’ll probably be dealing with flu-related health concerns for a while. One of the simplest ways we can dampen the dangerous effects of the flu is through education—understanding what’s going on during flu season, how to handle specific strains and how to mitigate the risk of contracting the sickness can help us avoid an extremely dangerous flu pandemic. This year, it’s clear that we’re not yet out of the woods, so protecting yourself against the second wave of the flu is extremely important. Nicely done, with a lot of good information.